Do you long for bygone days? Or, do you have a history or archeology streak hidden within your soul? Unfortunately, unless you like living in a cave (which is entirely possible), many residences haven’t lasted for more than 200 years, let alone for over two centuries. But, some neighborhoods have been around for a few millennium, and antiquity lovers can find a real estate investment in or near some of the oldest settlements discovered to date. While some might dispute whether one region of the world holds older artifacts than others, the point to this list is to offer neighborhoods, cities and even entire regions that have been occupied continuously since their inception. Therefore, while the western U.S. might offer up the oldest human remains in the U.S. at 14,000-years-old, those nomadic cave-dwellers didn’t settle down in what is now known as the state of Oregon. Hence, Oregon didn’t make the list. (Neither did San Antonio.) Plus, while Rome may be older than Malacca, Malaysia, we wanted to offer a bit of worldwide variety for your reading pleasure. So, we included Malacca and avoided Rome and included the U.S. although this country is, by all worldly standards, architecturally young. Just because a settlement is ancient, old homes in that area may not be available. In this case, we offer suitable alternatives. Available homes are new properties sited on old grounds, renovations, or properties located safely outside a politically volatile area or located as close as possible to uninhabitable ruins. Finally, although this list is numbered, this does not mean that we value one ancient habitat over another. We did, however, try to place the areas by age, with the oldest community listed first. Olomouc, Czech Republic: In 2005, scientists confirmed that bones found in the Czech Republic represent the earliest human settlement in Europe, dating back about 30,000 years. This area already is known for the Mladec Cave paintings, and it’s easy to travel to the site from Olomouc, a city located just thirteen miles south. Olomouc is rumored to occupy a Roman fort site founded in the imperial period. Although a legend, archaeological excavations revealed remains of a Roman military camp from the time of Marcoman Wars close to the city. The ancient town of Olomouc ranks as the second most important and largest urban conservation area in the Czech Republic behind Prague; therefore, any home you may find in this area could hide historical artifacts beneath its foundation. You can view some Olomouc residential real estate, which currently ranges from Kc200,000 ($12,153.62 USD) to Kc62,867,345 ($3,820,330.35 USD). Paphos, Cyprus: Jericho, Palestine represents the world’s oldest known settlement, with significant archaeological remains dating back as far as 8000 BCE; but, like most risky investments, the atmosphere in the Middle East currently may prove too volatile for many real estate investors. Instead, you might look to the southwestern region of Cyprus as a possibility, a semi-peaceful area that would allow you to visit ruins from ancient Greece to Egypt (Turkey illegally occupies the northeastern section of this island). 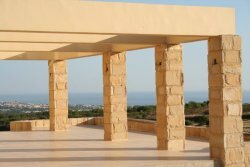 Cyprus alone offers artifacts that date back over 9,000 years, and the area of Paphos offers more than just beautiful sea views. This entire area was a Roman capital that dates from 1400 BCE. Plus, legend has it that the city is built on the spot where the Greek Goddess of Love, Aphrodite, was born. Enjoy everything that love and money can bring with this four-bed, four-bath executive suite with panoramic views, A/C, touch pad controls, underfloor heating, large pool, electric gates and designer kitchen for 1,550,000 Euro ($2,290,682.56 USD). Cadiz, Spain: Historians have long known that Phoenician traders founded Cadiz more than 3,000 years ago. Now, archaeologists believe they have found evidence that this city may be over 9,000 years old, which means that Cadiz could be Europe’s oldest inhabited city – the original Phoenician Gadir (meaning “the fortress”), or Gades in Roman times. The oldest artifacts were found sixteen miles southeast from Cadiz in 2007, but this Spanish city is surrounded by a sense of the centuries for miles. 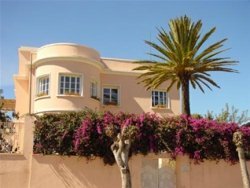 For instance, you can find a 200-year-old villa for sale just forty-six miles east of Cadiz in El Gastor. 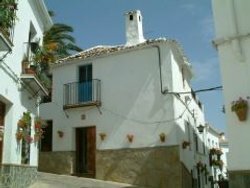 This villa, shown here, has undergone extensive renovation, yet the owners retained many of the original features. You’ll find beautiful old wooden beams in the bedroom and the bathroom, a wood burning stove and a large hallway upstairs with a seating area and French doors leading onto a small balcony. How much for a bit of history? A mere 129,000 Euros, or $190,894.76 USD. Along the James River, Virginia: Claims to the ‘oldest settlement’ title in the U.S. are rife with debate, and this contention would seem laughable when compared to the Middle East – except for evidence of Native American settlements. While it’s well known that St. Augustine, Florida claims to be the oldest settlement in the United States (Spain, 1513, evidence of Native American farming since 500 BCE) and the Oraibi Hopi Reservation in Arizona claims the oldest continuously inhabited settlement within the U.S. from 1100 CE, few historians have recognized the voices of the Monacan tribe. The Monacans lived in villages with palisaded walls, and their homes were dome-shaped structures of bark and reed mats. They would leave their villages every year to visit their hunting camps, they mined copper and buried their dead in mounds, which reveal 10,000-year-old artifacts. When the English arrived in Virginia, they pushed the Monacans west along the James until they were almost extinct. But, their descendants are here today, and the Monacan museum, located in Amherst, Virginia, provides testament to their survival. It is along the James that you’ll find Jamestown and Kecoughtan (now known as Hampton, the oldest continually occupied English settlement in the U.S.). 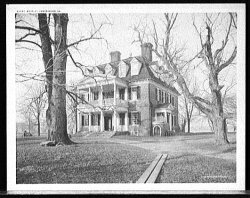 This is where you’ll also find Shirley Plantation, which was built in 1613 (pictured here from a print c. 1900). This is the oldest plantation in Virginia and the oldest family-owned business in North America, dating back to 1638. The history lover can begin in Hampton, near Newport News on the Chesapeake, and work his way to Iron Gate along the James to find homes that easily meet the century-old mark and that have not been designated as historical relics. Some homes even survived the Civil War. But, the oldest homes, perhaps, can be found just west of Richmond, where the Huguenots (French Protestant refugees) settled on an abandoned Monacan Indian village in 1700. Occasionally, one of these early eighteenth-century homes will go for sale in Powhatan County. Prices for the average home in this county usually top at $600,000 USD. Schwyz, Switzerland: If you want to know what a timber house looks like after 800 years, take a look at the oldest timber building in Europe, the Niderost house in Schwyz, Switzerland. This house has been dismantled and is in storage, as the Swiss goverment wants to restore it to its original glory. But, visitors to this area can view another house of the same style from the same period, as the Bethlehem house – located on the Ital-Reding Estate – is open for tours. Schwyz is one of the founding cantons of Switzerland, but findings show that Schwyz has been settled for thousands of years. Artifacts that date 5,000 years have been discovered in the northern region of Schwyz in the Hurden and Freienbach areas on Lake Zurich. Individuals who wish to live in something other than a timber building in this region can find ultra-modern digs (price on request) that may, literally, sit on a future archaeological dig. Ticul, Yucatan, Mexico: Four-foot tall rust-colored clay pots and leather shoes mark the two major industries in this 3,500-year-old Mexican settlement, located approximately sixty miles south of Yucatan’s capital city, Merida. Originally settled by pre-Columbian Mayans, Ticul has represented North America’s oldest known settlement. After the Spanish conquest of Yucatan, Ticul was established as a Spanish colonial town in 1549. Ticul achieved the status of a city in 1847. Over half the population still speaks the Maya language as their first tongue, although Spanish is also understood. 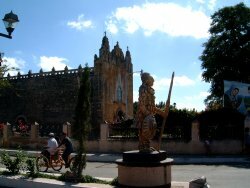 In this city, you will see the old – the Cathedral (shown here), colonial buildings, thatched roof Mayan homes – and some new – the open-air stage, hotels, restaurants, a market, a telegraph office, banks, pharmacies, medical assistance, Internet e-mail services, and tricycle taxis for hire. For individuals who seek tranquil living among ancient surroundings, yet who want to live near large-city offerings, Ticul could be the ticket. Or, if you prefer to live in the general area of Mayan ruins within four miles from Ticul, you might consider this abandoned hacienda. This property holds an existing wind-powered water pump, irrigation tanks, bebederos, corrals for horses and a cave with 1,00-year-old stalactites. While the buildings are in need of major repair, you can purchase the total package, including 907 acres, for a mere $550,000 USD. Asmara, Eritrea, Africa: Up until 2002, historians presumed that Eritrea’s capital city, Asmara, was 700 years old. But, scientists recently discovered an entire city under the outskirts of Asmara that dates back 3,000 years. This discovery would make Asmara the oldest settled agricultural community in Africa. The irony to this discovery is that Asmara’s architectural face was revamped during the twentieth century, as Italy (which occupied Asmara in 1889) rebuilt this capital city in the 1930s. The Italians used the city to experiment with new and radical designs, basically placing Asmara in the same light as today’s ultramodern Dubai. Growth continues in this area located south of Egypt and across the Red Sea from Yemen. New condo developments already have disrupted archaeological studies of Asmara’s ancient ruins. But, this growth allows residents to become part of African history in more ways than one. The lovely home shown here is a prime example of Asmara real estate, thoroughly modern “price upon request” living on the edge of priceless antiquity. Lamphun, Thailand: If you’re familiar with the saying, “older than dirt,” then you might want to consider purchasing vacant land in what is considered Thailand’s oldest city. The historic Asian town of Lamphun, if not the oldest city in Thailand, certainly is a contender for “longest continually inhabited settlement” in this country. The ancient fortified city was founded, according to legend, in 660 CE, almost six centuries before the nearby city of Chiang Mai and more than 1,000 years before the Thai capital was moved to Bangkok in 1782. Little remains of Lamphun’s ancient city walls, though the heart of the Old City is still surrounded to the north, west and south by well-preserved and tranquil lotus-filled moats. 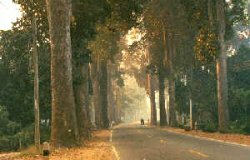 Surrounded by magnificent gum trees (shown in the photo here of the Lamphun – Chiang Mai road) and ancient Buddhist temples, Lamphun offers an ancient small-town feel yet offers the amenities provided by a nearby larger city. While beautiful homes can be had in and around Lamphun, the availability of unoccupied land for sale could provide the real draw for this ancient area. Investment in this particular piece of vacant land, located in Lamphun’s northern industrial district, runs at 25,000,000 Baht, or about $734,365.36 USD. Malacca, Malaysia: Located just south of Kuala Lumpur, the historically rich state of Malacca was founded by Parameswara, an exiled prince from Sumatra, in 1396. Strategically located on the ancient Asian spice route that linked China to India and the Far East, Malacca (also known as “Maleka”) provided sailors with a fiendly and open port as they passed by. Eventually, Malacca grew into a thriving trading center, but its independence was cut short by Portuguese colonization in the early sixteenth century. The Dutch then took control in 1641 and then the British in 1824. 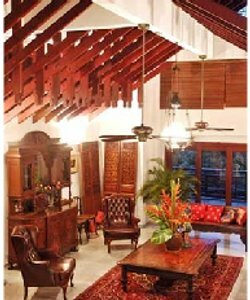 Although Malaysia declared independence in 1956, English, Dutch and Portuguese styles continue to strongly influenced the town’s architecture. Because the city originally was built from wood, there are no reminders of the power once wielded by the Malaccan Sultanate; however, along the shores of the Malacca River, the scene has probably changed little. Look especially for the Portuguese influence, as this country taxed housing by width. This policy accounts for a building that can be no more than twelve feet across but that can easily extend backwards two hundred feet, hiding an interior filled with a linear succession of high-ceilinged rooms and courtyards. One such replica of this type of architecture – on a lavish basis – is the bungalow shown here, designed with intricate geometry of roof planes and flooring (inquire for price). Old San Juan, Puerto Rico: If you’re a history lover, there’s no reason to live in San Juan unless you can live in the oldest part of this Puerto Rican island. This island was inhabited by Taino Indians until Columbus stumbled onto this island’s beaches in 1493 and named it San Juan. Unfortunately, no one knows just how long the Taino tribe lived here (or on any other Caribbean island), so there’s no way to know how long this island has been continuously occupied. Spain colonized the island in 1508 and moved the capital near the ocean, which makes this city the second oldest Spanish colonial city in the “old” New World outside Santo Domingo in the Dominican Republic. Spain ceded the island to the U.S. in 1898. Old San Juan provides an excellent example of Spanish colonial architecture, most of which has been beautifully restored. For example, this Old San Juan sweetie was built in 1808 and remodeled with new amenities. You’ll find four bedrooms, three baths and 4,119 square feet of space in three-story luxury living for just $2,950,000 USD. Very cool, never thought about where the oldest house was. There are some left off the list, but it is too early in the morning for me to remember – I remember something in China and Tibet, but forget details. Olomouc, Czech Republic has indeed got very old historical buildings. those interested in history would love this city. On another site in Olomouc an underground tunnel leading from one town to the other was discovered. this site used to be belong to the Czech Army(it is now privately owned). It is said that they used it to transport food and ammunition during the war. Interesting information. If you will there are many unique, hitorical and beautiful objects in our country, Indonesia. Yep – totally cool whoever put this website together and did all of the “leg work” (thank you btw! Some of these houses are pretty pricey – – right on par with multi-room beach-side mansions on Duck Island, NC. And while I appreciate and understand this isn’t a real-estate website, there should have been more contact info and pics for the homes that were for sale. Some of ‘us’ (and no, right now I’m not one of the ‘us’) can afford those homes, and more info would have been helpful. Not trying to be a downer – this site was done well and much appreciated by those of us doing searches on old neighborhoods….thanks again!! house owners respect to nature.. very nice. we have lots of historical property from in turkey.. you can visit us.. I appreciate the work that you have put into this page. I also should say that the layout is nice. This property is a historic 300 year old expertly converted Maltese farmhouse, retaining all its original features and charm. This home is impeccably furnished to high standard. We pride ourselves on our strong relationships with banks and lenders that allow us unparalleled access to the latest properties on the market, making our property list like no other. You help it become sound that easy together with your web presentation but I come across this kind of issue to become really an element that I believe I’d in no way recognize. It seems way too problematic and also wide-ranging for my situation. Now i’m excited for your forthcoming submit, I am going to seek to get the hang of it all! seriously that was cool, never thought about where the oldest house was. Wow, incredible blog layout! How long have you been blogging for? you make blogging look easy. The overall look of your web site is great, let alone the content!. Thanks For Your article about The 10 Oldest Neighborhoods in the World: Live in a 2300 Year Old House | International Listings Blog . Wow, superb blog layout! How long have you been blogging for? you make blogging look easy. The overall look of your site is magnificent, let alone the content!. Thanks For Your article about The 10 Oldest Neighborhoods in the World: Live in a 2300 Year Old House | International Listings Blog . Wow, fantastic blog layout! How long have you been blogging for? you make blogging look easy. The overall look of your website is magnificent, let alone the content!. Thanks For Your article about The 10 Oldest Neighborhoods in the World: Live in a 2300 Year Old House | International Listings Blog . Wow, fantastic blog layout! How long have you been blogging for? you made blogging look easy. The overall look of your site is fantastic, let alone the content!. Thanks For Your article about The 10 Oldest Neighborhoods in the World: Live in a 2300 Year Old House | International Listings Blog . Rattling wonderful information can be found on web blog . “I said I didn’t want to run for president. I didn’t ask you to believe me.” by Mario M Cuomo.